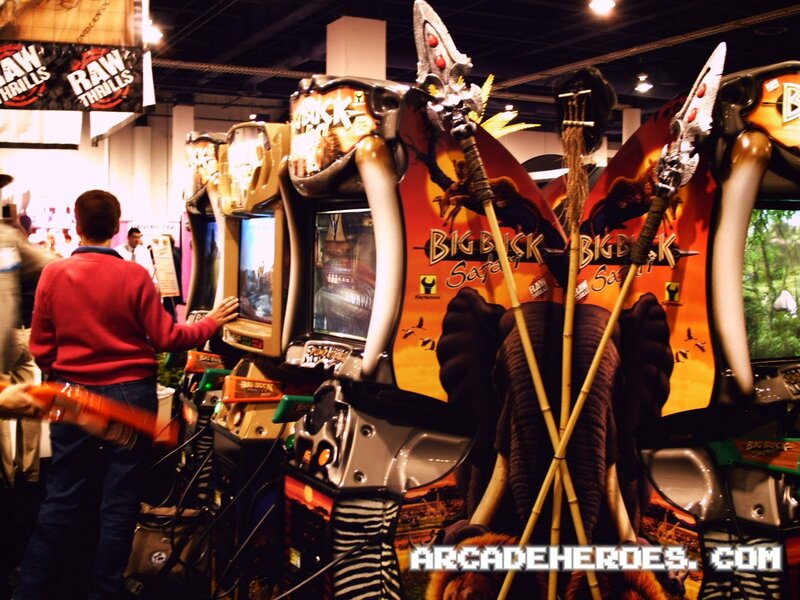 Arcade machines aren’t just for arcade venues – they can be great for offices too. 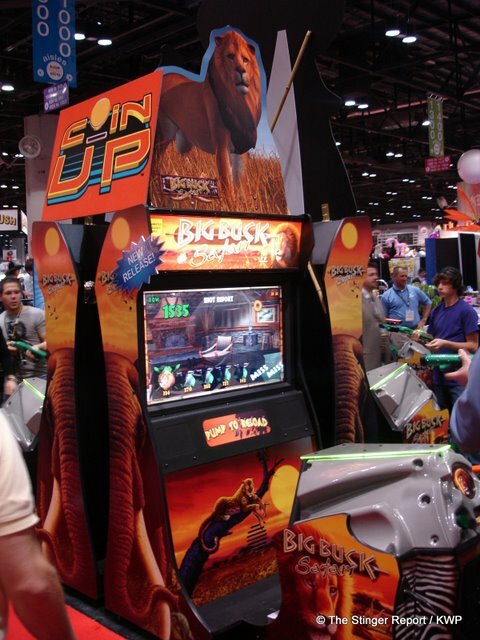 The people at MTV Multiplayer certainly think so and they not only have a Big Buck Safari onsite, they have an ongoing celebrity tournament running on the machine where they invite the celebrities that they interview to compete for the highest score. 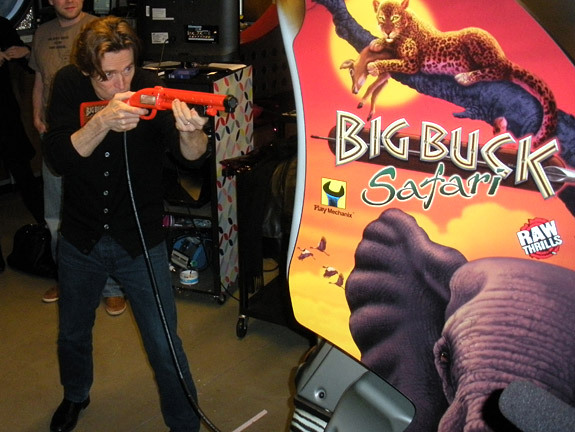 This of course offers some fun for the people who come in for interviews and it also provides some decent mainstream media coverage, as we see here with actor Willem Dafoe getting in on the tournament. Mr. Dafoe is starring in a new vampire/sci-fi movie called ‘Daybreakers‘ which releases today. 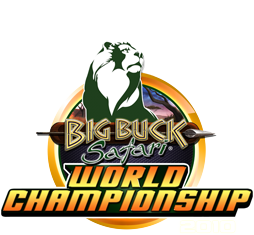 I received a couple of e-mails recently asking about details on how the 2009 Big Buck World Championships went down a couple of weeks ago but I hadn’t heard anything about it until today. 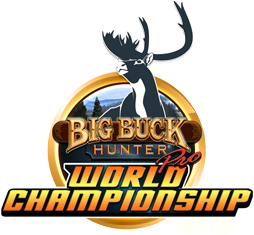 You might recall that there were two national tournaments that occurred at the same time – one for BBHPro(the night before the tournament it was revealed that this tournament would take place using the new Open Season update) and the other on Big Buck Safari. When all was said and done, two brothers walked away with the $10,000 prize, Nick Berg for BBHPro and Jerad Berg (who also won last year’s national tournament) on Safari. For more details on the event, see the press release after the post break(updated with a corrected press release). This ticks all the boxes for me. Beer, pretty ladies, prizes and Big Buck Hunt. If it ticks all your boxes too, then why not try and get down to one of these Big Buck parties that are taking place in across America. For more info visit BigBuckSafariOnline.com or BigBuckHunterProOnline.com. 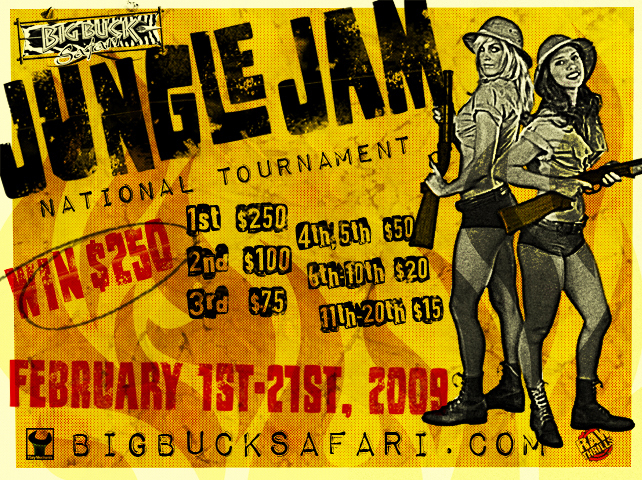 Play Mechanix just wanted me to pass along the newest online tournament for Big Buck Safari and once again, 20 people have a chance at winning some cash. They also have simplified the process for claiming your prize, where you go to the Winner’s Circle on BigBuckSafari.com instead of calling a phone number. The tournament is running now on online enabled versions of BBS. Good luck! 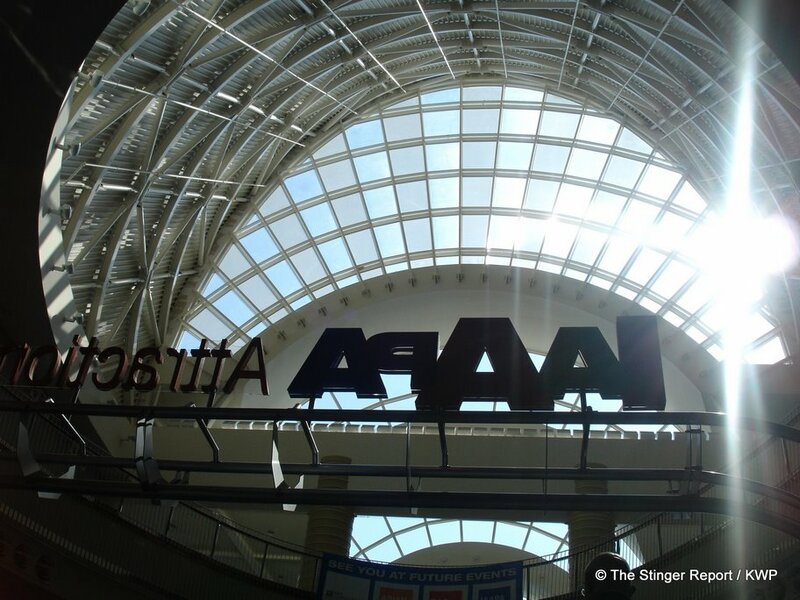 We’ve received a final batch of pictures from the IAAPA show in Florida (thanks again to Kevin Williams of The Stinger Report)and it’s only fitting to ‘finalize’ our coverage of the event. Overall I think that it was a great show, in terms of new games and what we can look forward to coming into 2009. While there isn’t any new game seem here, we do get a better look at a few games. 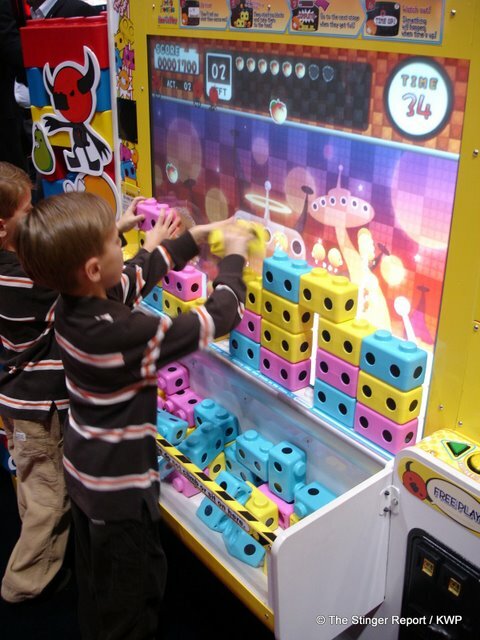 Here is a new game, Xball by Unis (or Universal Space). It is similar to a couple of games we’ve seen in Asia that came up with the ‘throw a ball at the screen’ concept. I’m just waiting for someone to make one of these games where it’s a virtual snowball fight, which could be a lot of fun without the need of getting pegged with iceballs. While Universal Space’s website doesn’t list Xball on it yet, I noticed that they do have IGS’s Pirate Revenge game there, which I had thought would not come over to the US. 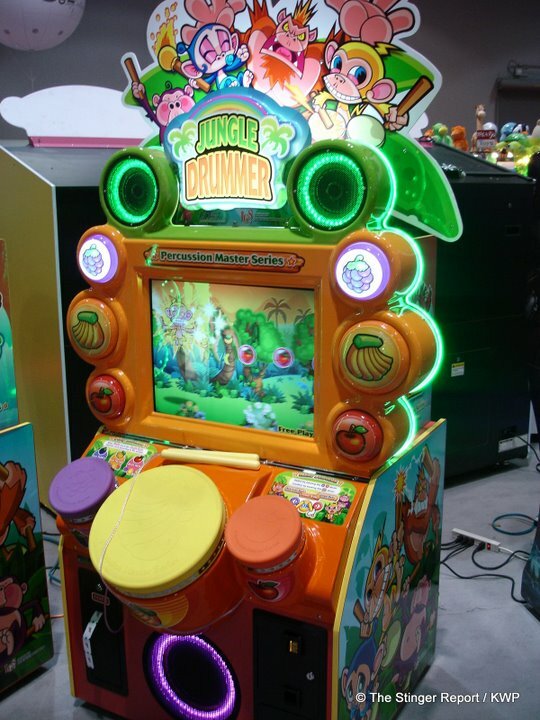 For another video redemption title we have Jungle Drummer. It says that it’s part of the Percussion Master series so I wonder if this has something to do with Pump It Up Jump (which was not at the show but I talked with Andamiro about it at AMOA). I like the cabinet design, very eye-catching for kids. 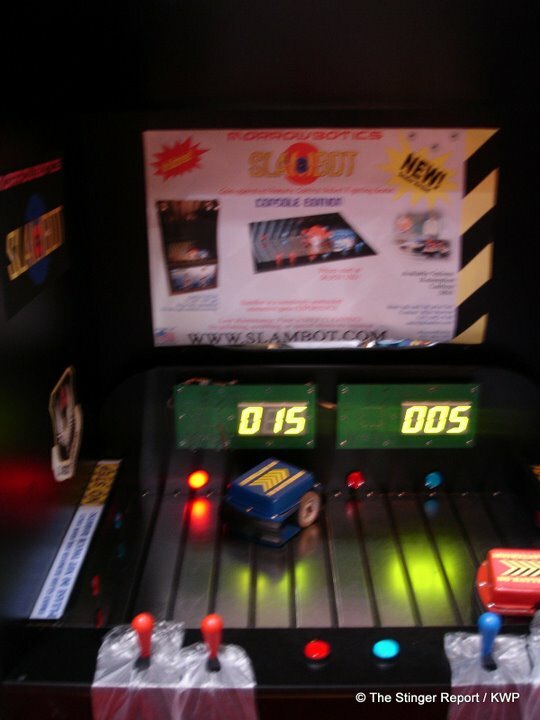 Similar to what you see above is a DDR clone called Boogie Down. The dance pad is simplified and with the brighter color scheme this also should attract kids pretty well. Here’s a couple more shots of Brick People. I heard that when the game is finished, the game clears the bricks itself but at the moment it sounds like that feature is sort of clunky with how it works and may not clear it properly every time. They still have time to figure that out though. 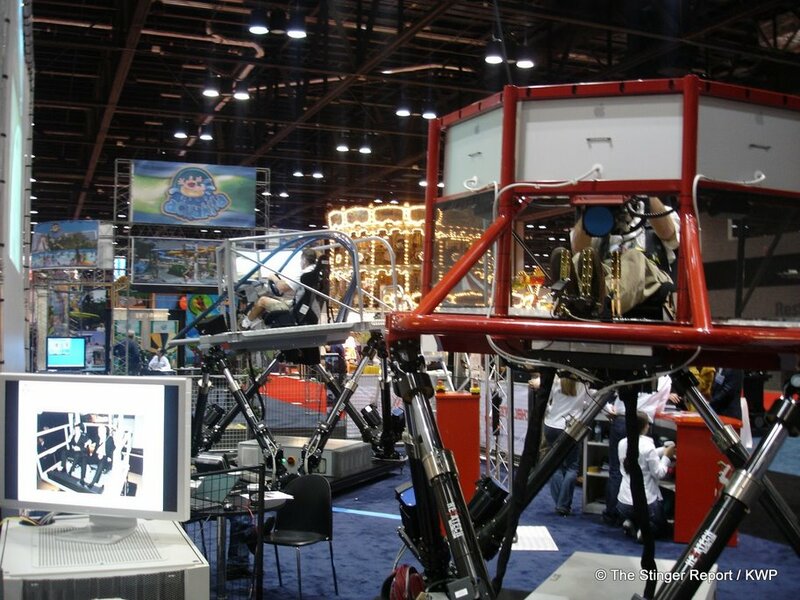 Big Buck Safari Deluxe was at the show and from what I heard it was working better than it was at AMOA and ASI. I’m still not sure when we’ll see it though. 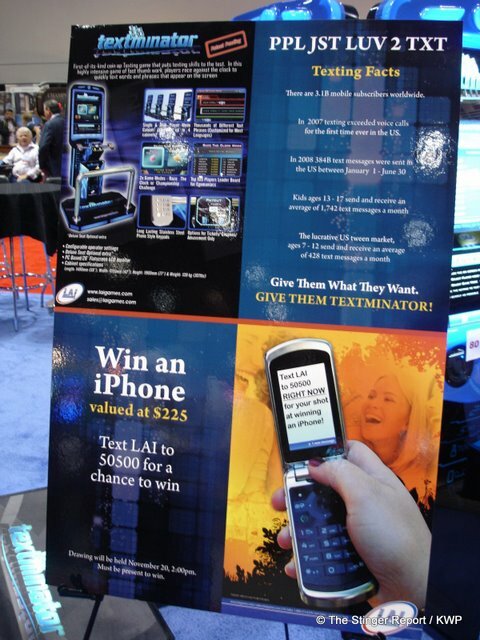 Here’s a little more on Textminator by LAI Games. 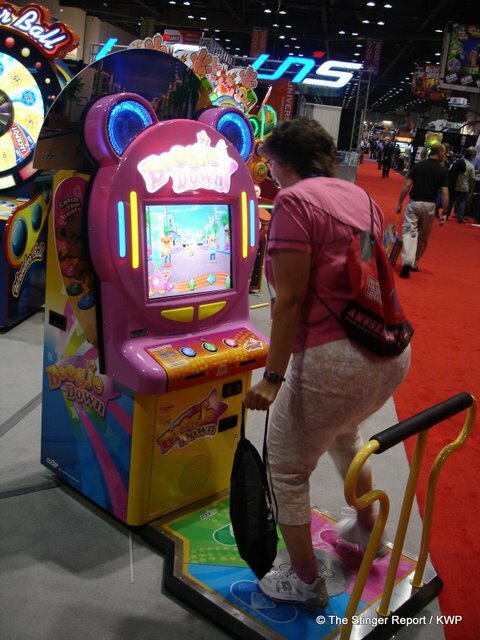 Here is a picture of the promotional flyer for the game where you get a look at what it’s about and notice that there is a pad on this much like DDR but no foot controls of course. 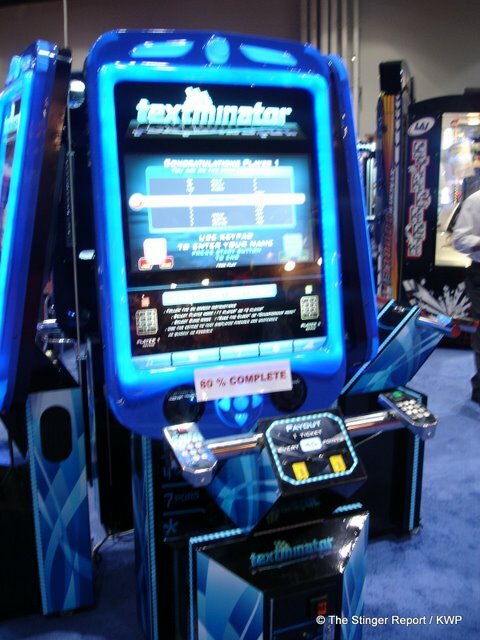 I wonder if it’s DDR meets texting. It probably won’t be my cup of tea but for it’s target audience it will probably do really well, especially where it has ticket payout. 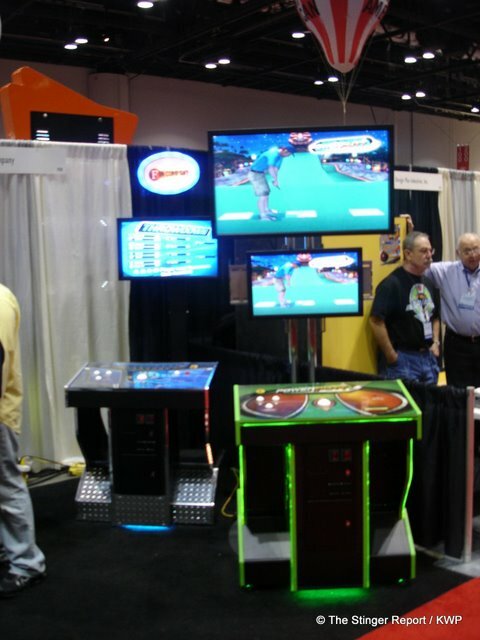 Here’s a variation of the new pedestal cabinet from the Fun Company for Incredible Technologies. I like the lit up version on the right better than the standard ones. These racing simulators are cool. 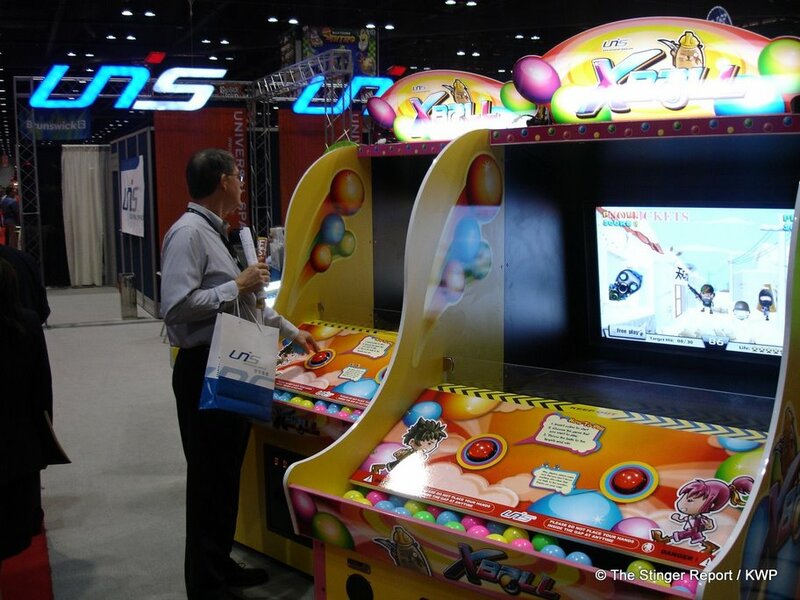 I’m not sure what racing game they are playing but they would be quite attractive at any amusement park. 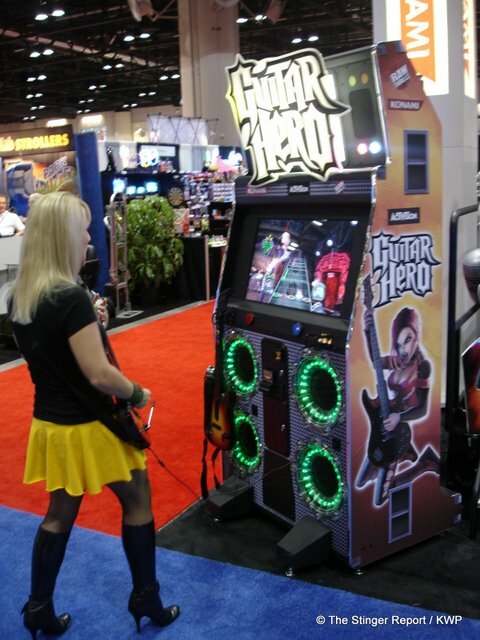 And finally, what post would be complete without more pictures of girls playing Guitar Hero? 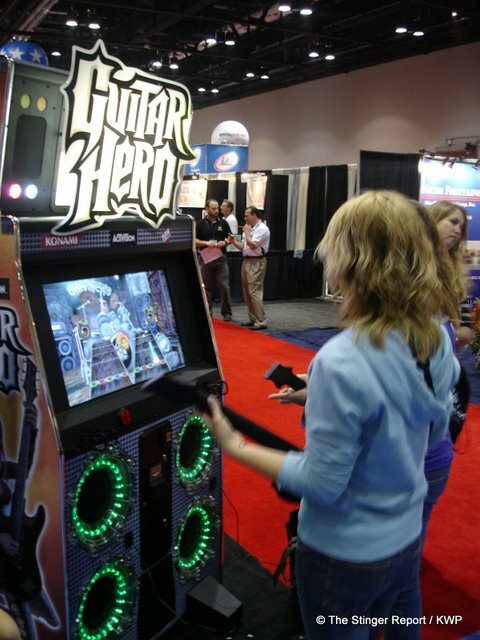 As for release dates – Guitar Hero has been given a date of February and I hear the price tag is around $7000. 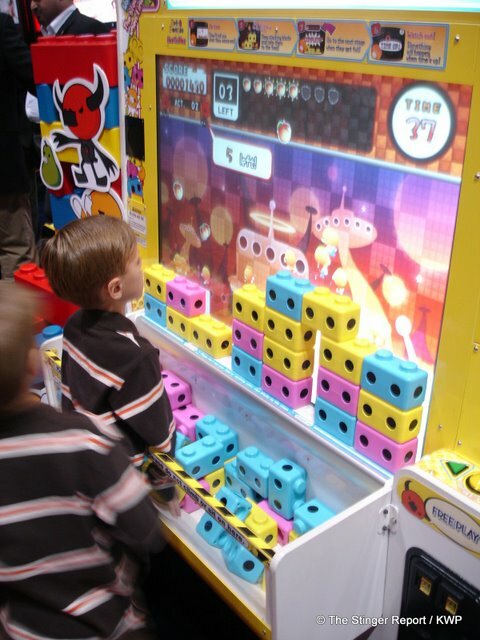 The game will also include a hook-up for a separate TV so more players can see what’s going on. American Idol is scheduled to come along in January and while I haven’t heard a price, it’s going to use the CoinUp network extensively. Also according to some distributor sources of ours, Namco is planning to release Razing Storm and Nirin in March, just in time for ASI/AMOA. R-Tuned Racing is set for January, Hummer for March and Harley Davidson for “1st quarter 2009”. So where does that leave us off? I counted at least 24 new games if you count video game redemption titles and I know there was more for just regular redemption. Still, for the video sector that’s pretty good and not what I’d call a dead and buried industry. Of course we will have to see how operators take to all of these games next year.